Karen Olsson always had an aptitude for math but wasn’t exactly a prodigy. And yet when she entered Harvard as an undergraduate she was drawn to it, forcing herself into a discipline that had always felt just beyond her reach. As a math student then and as a writer now, she was and is chasing a feeling—the brink of breakthrough, the flash of insight. For Olsson, and for her newest obsession, the Weil siblings, creative thought rests on the making of unlikely connections. 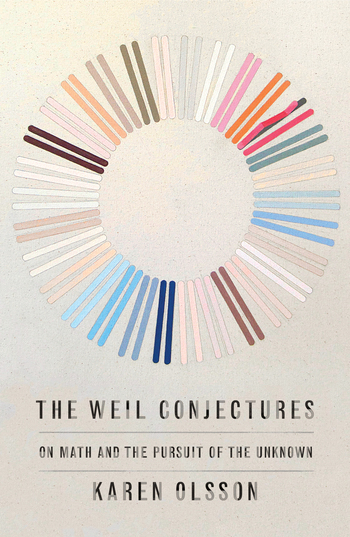 Thus The Weil Conjectures—a beguiling blend of biography and memoir and a meditation on the creative life. 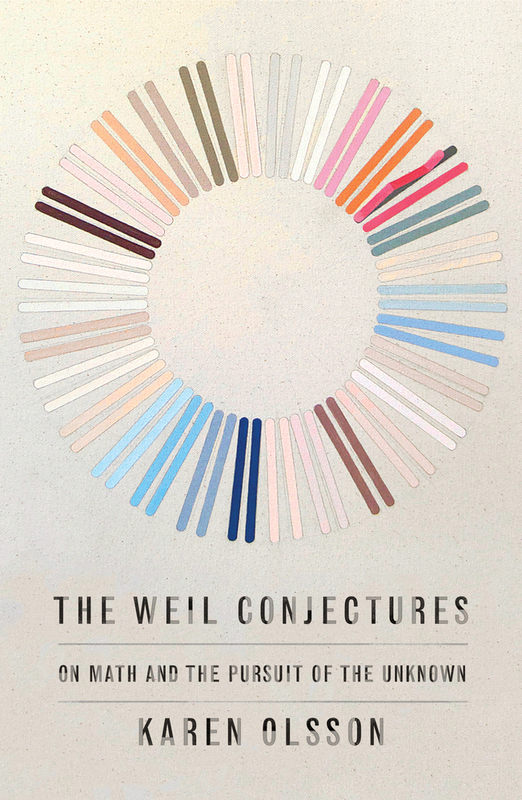 In The Weil Conjectures, Olsson narrates the story of the Weil siblings—Simone, the famous French philosopher, mystic, and social activist, and her brother, André, the influential yet often overlooked mathematician—as well as the lore of math and Olsson’s own experience of it. During her research, Olsson got hold of the 1940 letters between Simone and André. The letters forced her to revisit her college years and to reassess her present-day life in the hopes of understanding the place of math, and unattainable knowledge, in her own world. Personal and revealing, and avoiding theorems and numbers, Olsson eloquently explores math as it relates to intellectual history, and shows how sometimes, the most inexplicable of passions turn out to be the most rewarding. Karen Olsson is the author of the novels Waterloo, which was a runner-up for the 2006 PEN/Hemingway Award for First Fiction, and All the Houses. She has written for The New York Times Magazine, Slate, Bookforum, and Texas Monthly, among other publications, and she is also a former editor of The Texas Observer. She graduated from Harvard University with a degree in mathematics and lives in Austin, Texas, with her family.